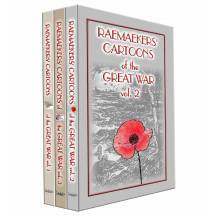 Discounted by 33% PLUS a 4th Book FREE - "Poems of the Great War" PLUS FREE SHIPPING! 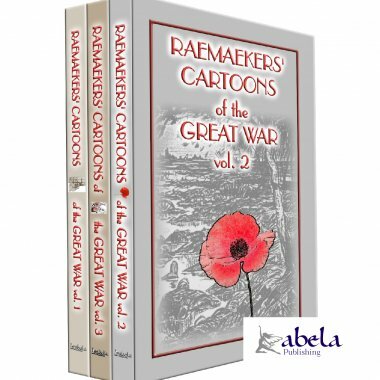 RAEMEAKERS CARTOONS of the GREAT WAR 3 Book set DISCOUNTED by 10% + FREE 4th WWI book + FREE SHIPPING! From Volume 1 - IS IT YOU, MOTHER? PALLAS ATHENE: "HAS IT COME TO THIS?" 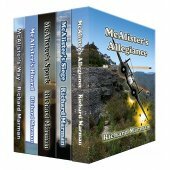 WHAT SHOULD WE DO WITHOUT MICHAEL? "CHEER UP, AUSTRIA, YOU HAVE GERMANS AND BULGARIANS TO HELP OUT THIS TIME"
"THEY BOWED THE KNEE BEFORE HIM"
"COME AND BE HAPPY AT POTSDAM"
THE KAISER: "YOUR RUTHLESSNESS HAS FAILED, TIRPITZ; I MUST PIN MY FAITH TO COUNT ZEPPELIN." WILLIAM: "YOU LEAD NEW REGIMENTS UPON VERDUN, WHILST I WEEP OVER THE LOSSES OF THE OLD ONES." "NOBODY SEES ME, SO I CAN ALWAYS DENY IT." "WE HAVE ONLY COME TO SEE THAT THE ENGLISH DON'T THREATEN YOU." "MY SON LIES HERE, WHERE ARE YOURS?" "GERMAN CHIVALRY ON THE SEA"
"WHY, I HAVE KILLED YOU TWICE AND YOU DARE TO COME BACK AGAIN!" "MAIS QUAND LA VOIX DE DIEU L'APPELA IL SE VOYAIT SEUL SUR LA TERRE AU MILIEU DE FANTOMES TRISTES ET SANS NOMBRE." "I THOUGHT YOU SAID YOU WERE TOO PROUD TO FIGHT!" "INDEED, I AM THE MOST HUMANE FELLOW IN THE WORLD." VON TIRPITZ: "WELL, MY DEARS, I'M AFRAFRAID YOU WILL HAVE TO IMPROVE YOUR MANNERSFOR A WHILE AT LEAST." "WELL, MR. PRESIDENT, IF YOU INSIST, WE SHALL TRY TO BEHAVE LIKE GENTLEMEN." "AT LAST, TIRPITZ, I MAY TENDER MY IMPERIAL THANKS PUBLICLY." "WE HAD ALMOST BEATEN THE BOY WHEN HIS FATHER ARRIVED AND THEN WE HAD TO RUN FOR OUR LIVES." GERMAN ADMIRAL: HOW QUIET IT MUST BE IN THOSE ENGLISH HARBORS BLOCKADED BY OUR FLEET. CROWN PRINCE: "WE MUST HAVE A HIGHER PILE TO SEE VERDUN, FATHER." THIS WILL MAKE WILLIAM JEALOUS; IT BEATS HIS NURSE CAVELL.  CIVILISATION: "WHAT IS THE VERDICT." "WE HAVE FINISHED OFF THE RUSSIANS." THE WOLF: "IS IT NOT TIME TO STOP ALL FURTHER BLOODSHED?" "I HOPE, MY DEAR FRIENDS AND ALLIES, THAT I HAVE BEEN ABLE TO MAKE YOU FEEL HAPPY AND CONFIDENT AGAIN." "SEEMS TO BE NEUTRAL: SINK HIM!" EUROPE: "AM I NOT YET SUFFICIENTLY CIVILISED?"